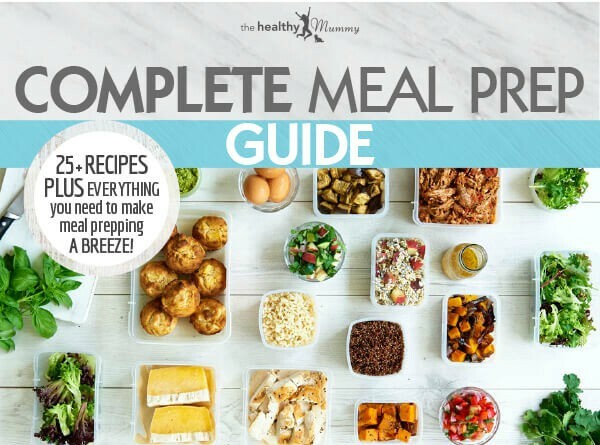 Hi – I am Rhian, the Founder of The Healthy Mummy, which has helped mums lose OVER 3 million kilos, and I would love to give you a copy of my Meal Prep ebook to help you master meal prep too! This Recipe Book is loaded with tips, tricks, information to help you meal prep like a pro. PLUS, it gives you 25+ of our favourite meal-prep and budget-friendly recipes. To download it NOW simply enter your details below and it will be emailed directly to your inbox.